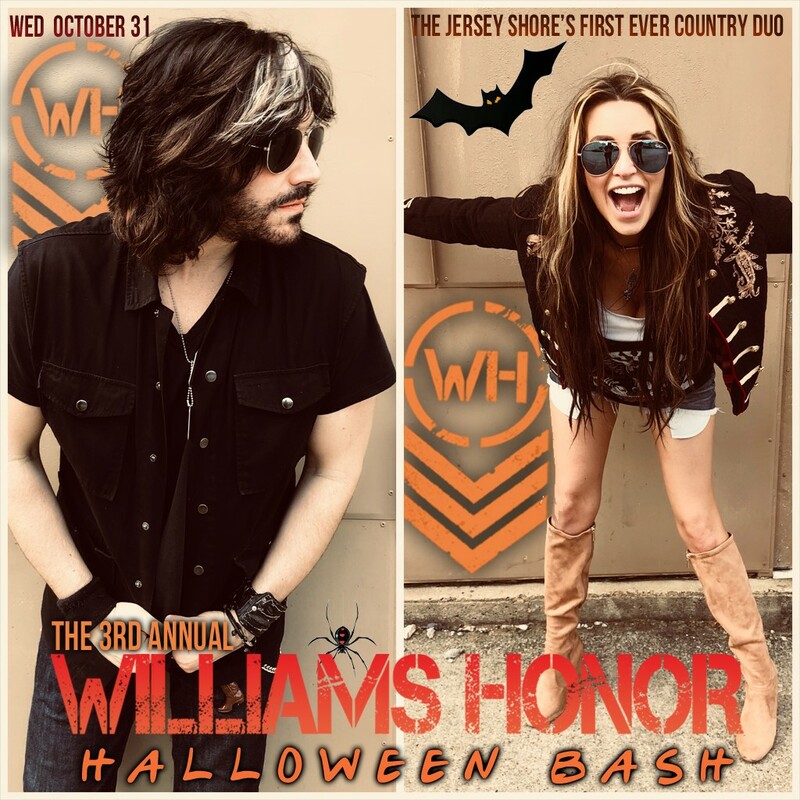 Williams Honor - "3rd Annual Halloween Bash"
It's the 3rd Annual Williams Honor Halloween Bash and a night you'll never forget with G & R! Come spend the "ghoulest" night of the year with the Jersey Shore's First Ever Country Duo on the actual holiday itself. Put your costume on and come out as Williams Honor and their FULL BAND returns from an incredible year, which saw them have their first Top 30 single with "No Umbrella", a Best Music Video award for "Send It To Me" at the Asbury Park Music + Film Festival, and a sold out performance at Madison Square Garden with hometown heroes Bon Jovi. Be part of the show ... Secret Costume Contest with prize and special Meet & Greet afterwards with WH and YOU in costume! This is real live Country by the Sea! Send It To Me, No Umbrella, All Your Heart, and Mama Please available on Itunes, Spotify, Amazon Music, Google Play, and wherever your digital music is sold.